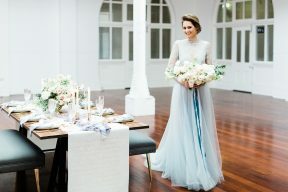 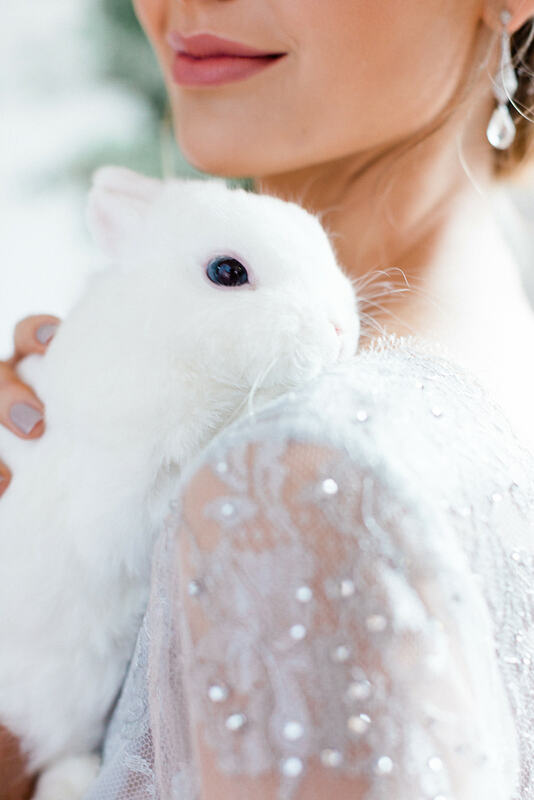 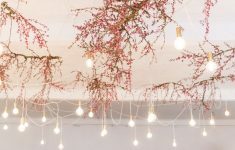 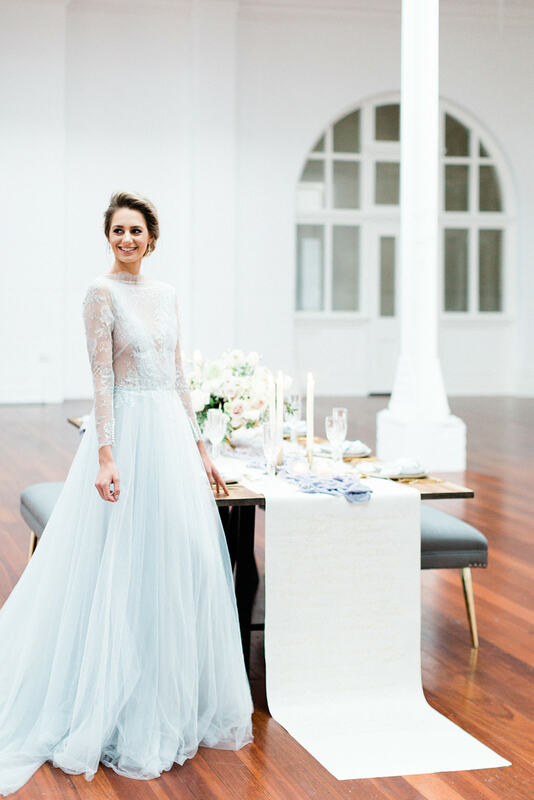 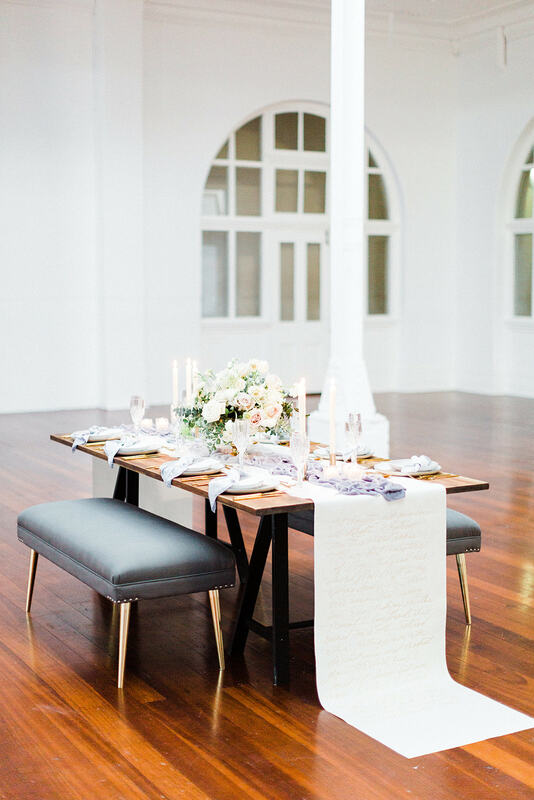 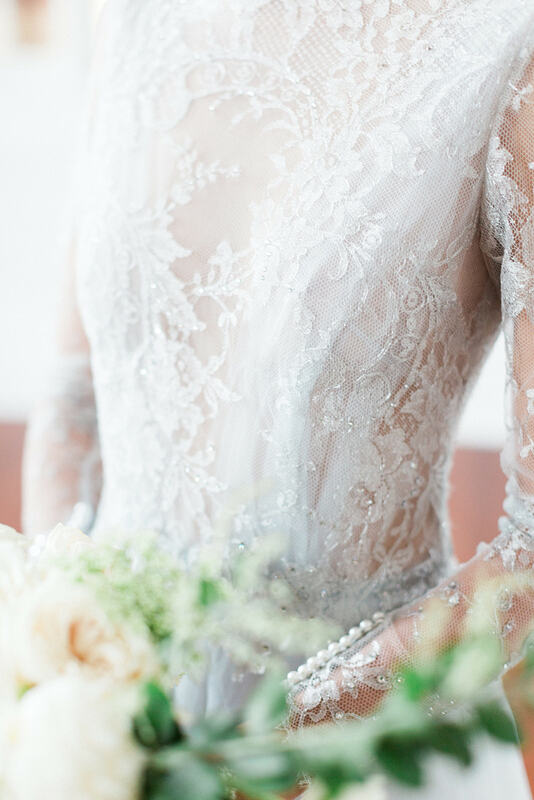 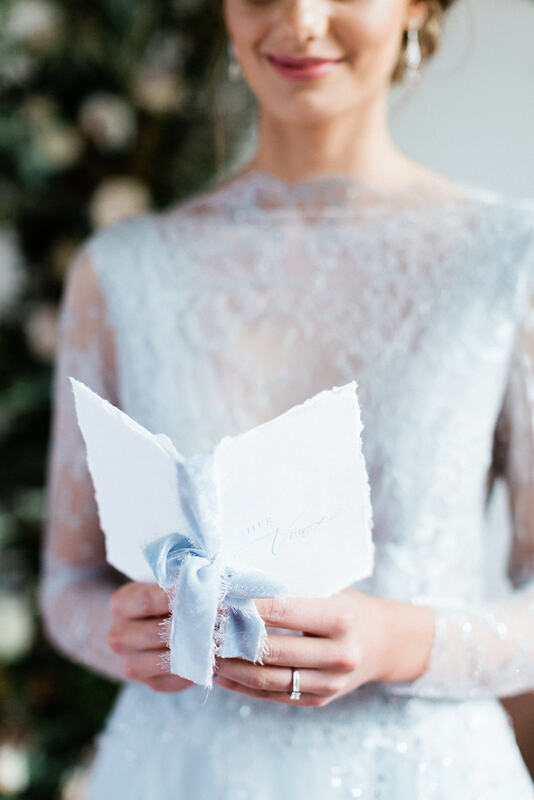 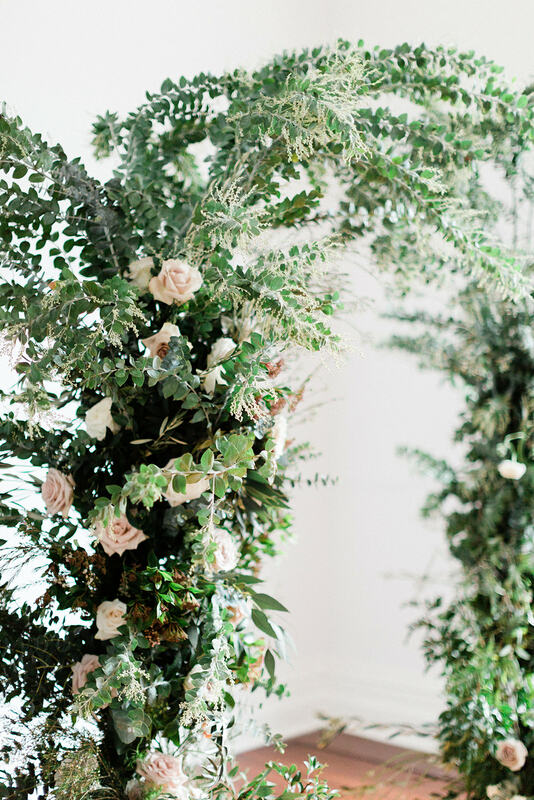 Today’s incredible wedding inspiration shared by fine art Film Photographer Jonathan Chua and Willow Lane Creative is filled with beautiful ideas, especially for Winter weddings! 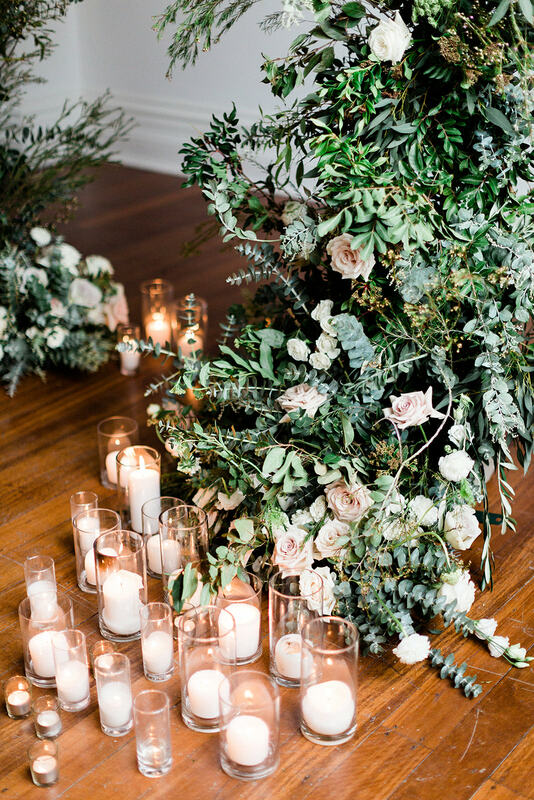 We love the on trend velvet textures and the magnificent floral installations by Willow Lane Creative who also styled this editorial. 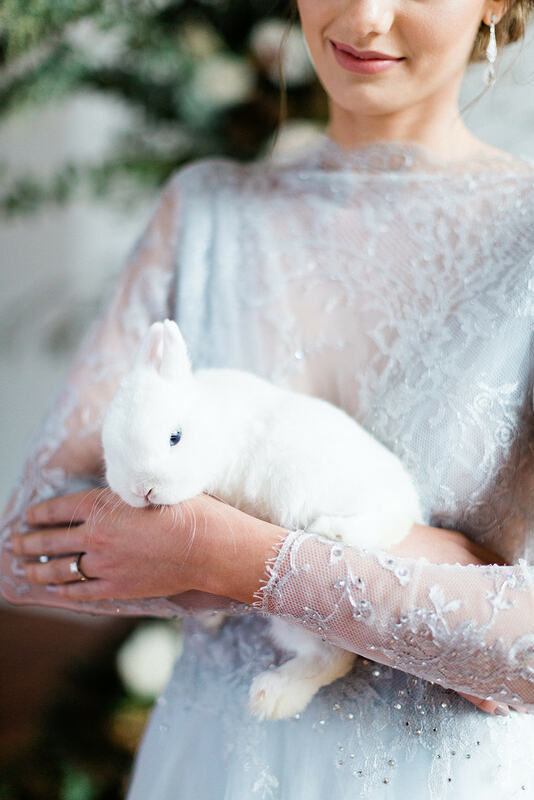 “The inspiration behind this editorial came from the luxurious textures of velvet and silk. 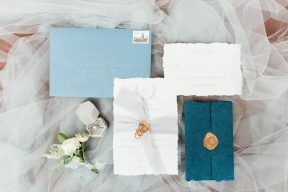 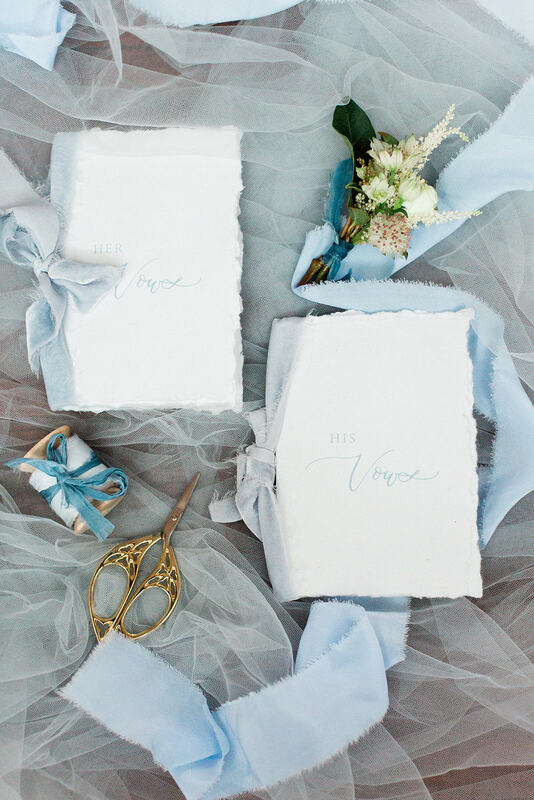 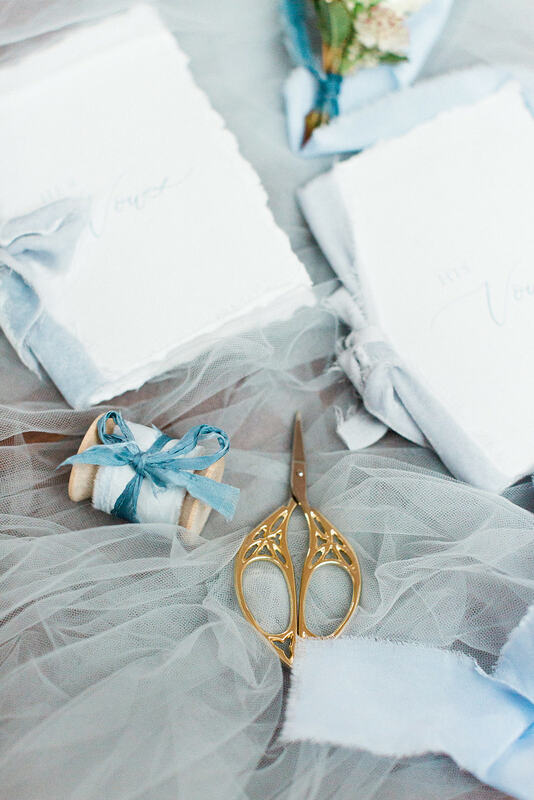 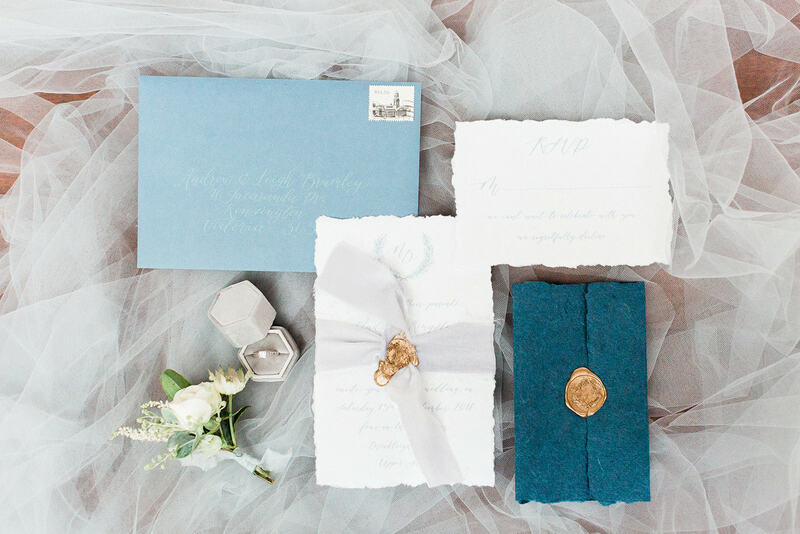 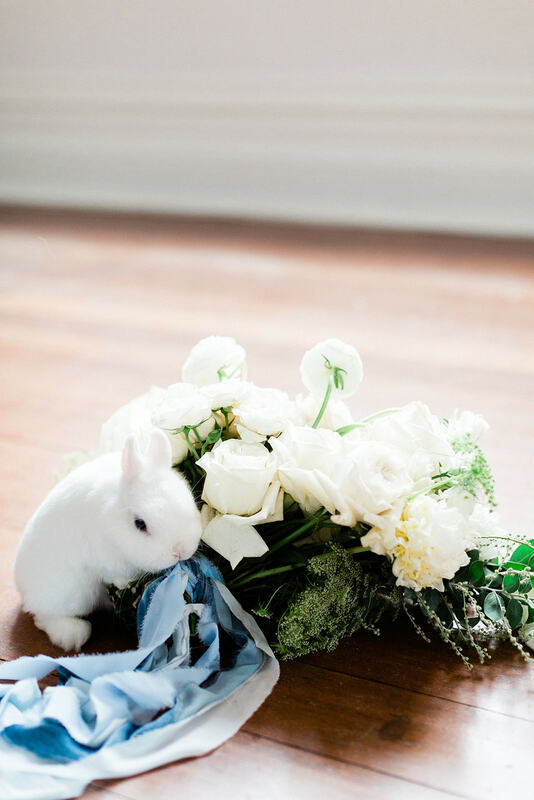 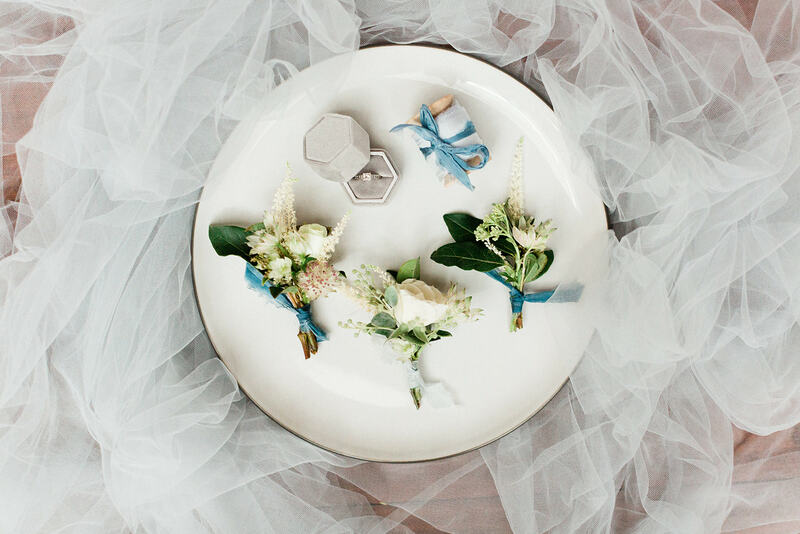 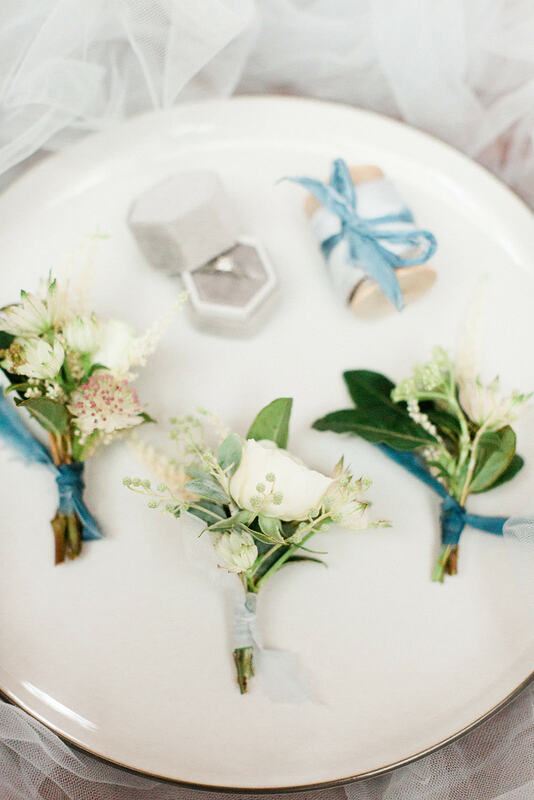 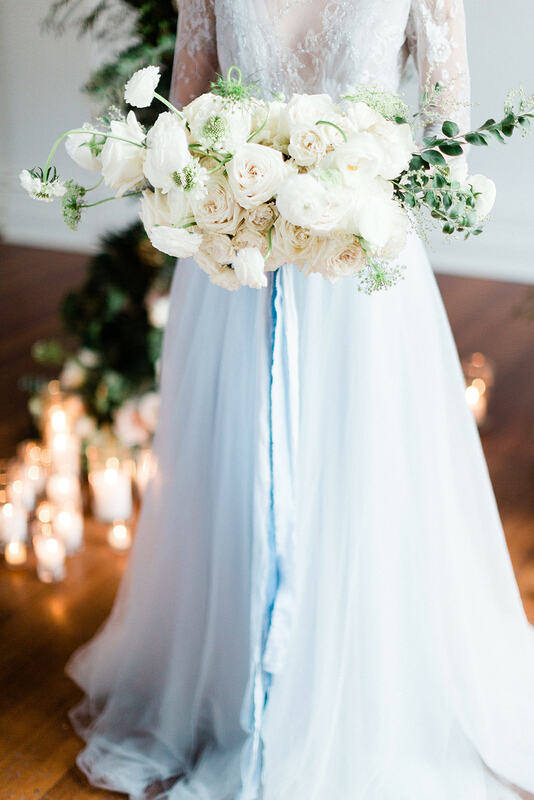 The colour palette was soft and neutral, incorporating light blue, grey, white and cream with touches of gold. 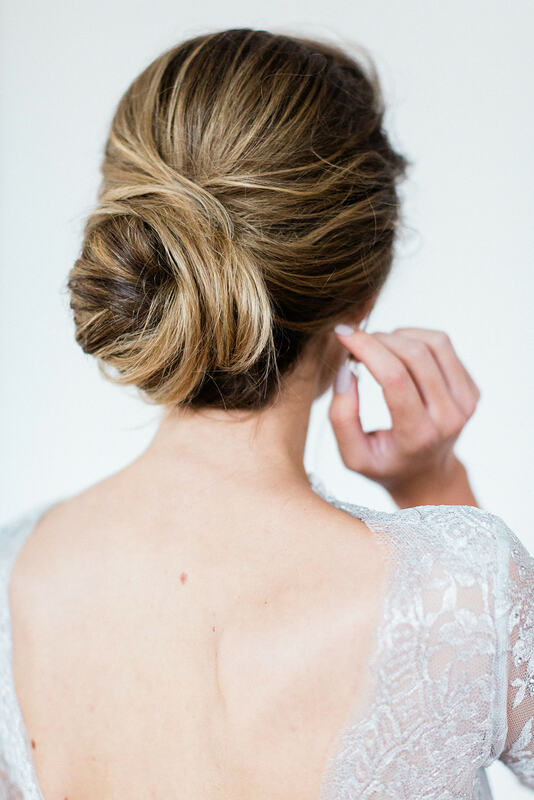 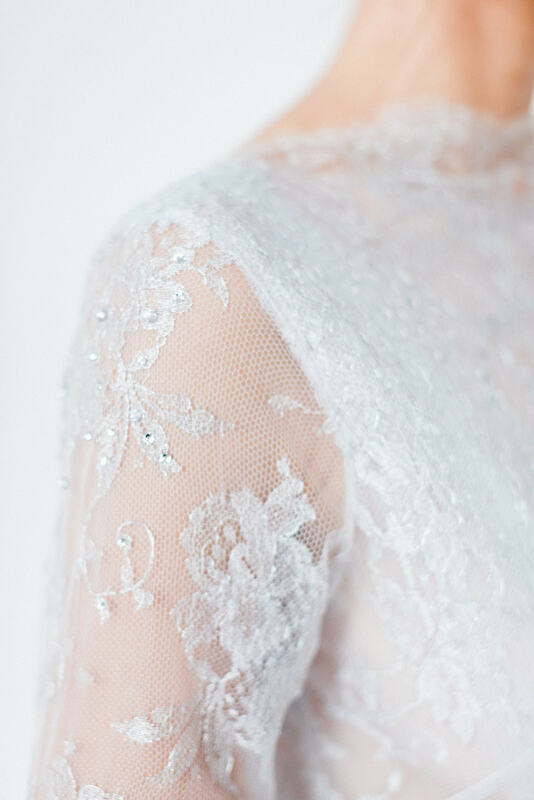 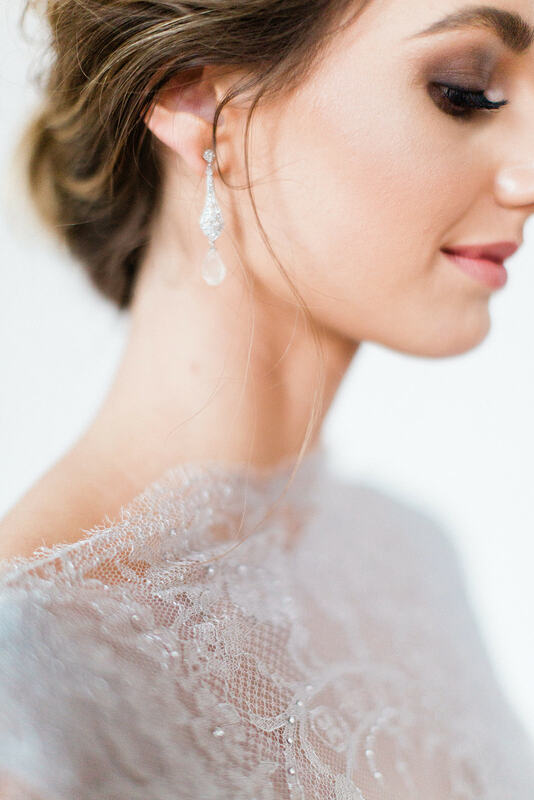 We envisaged a modern bride who appreciates authentic and beautiful details. 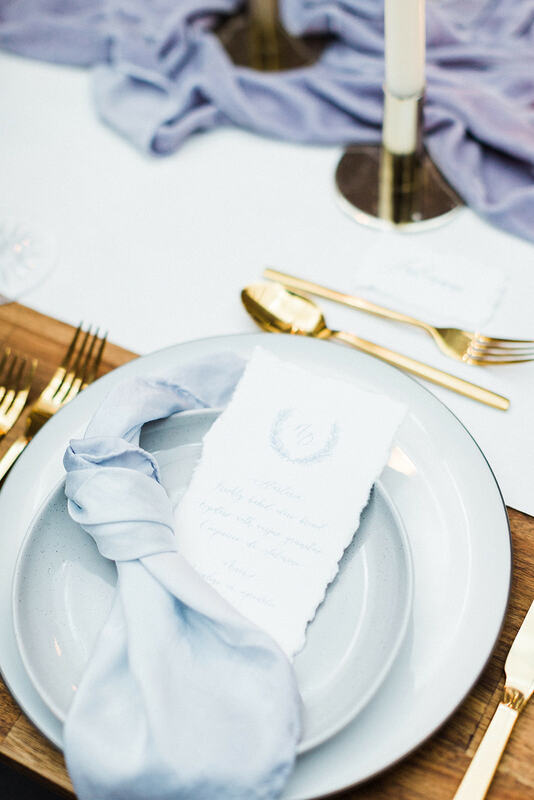 Our tablescape was modern and romantic with grey and white ceramic plates, gold cutlery and hand torn calligraphy menus. 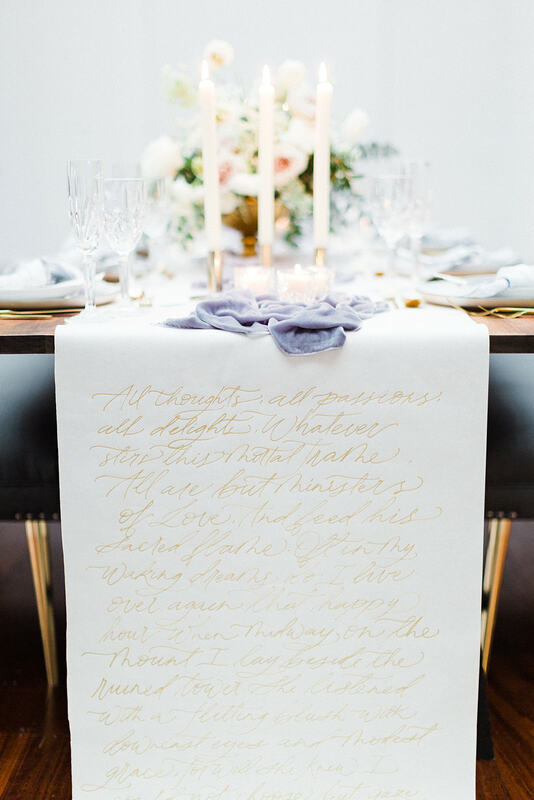 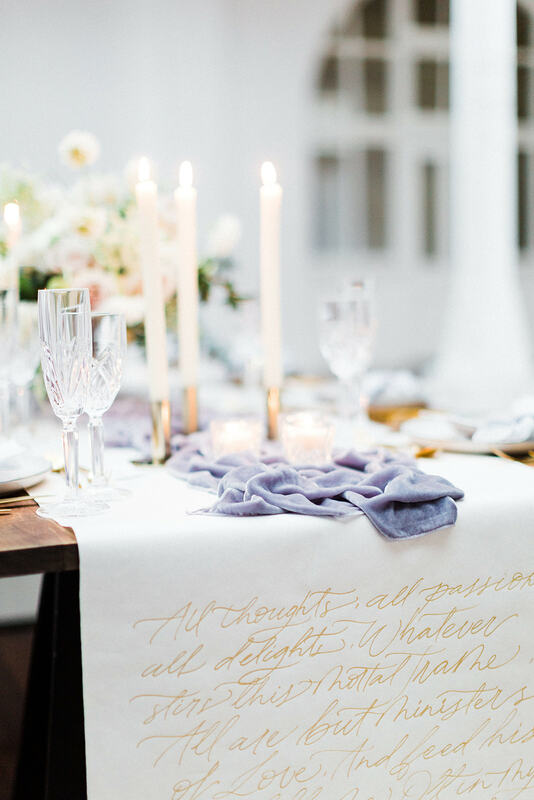 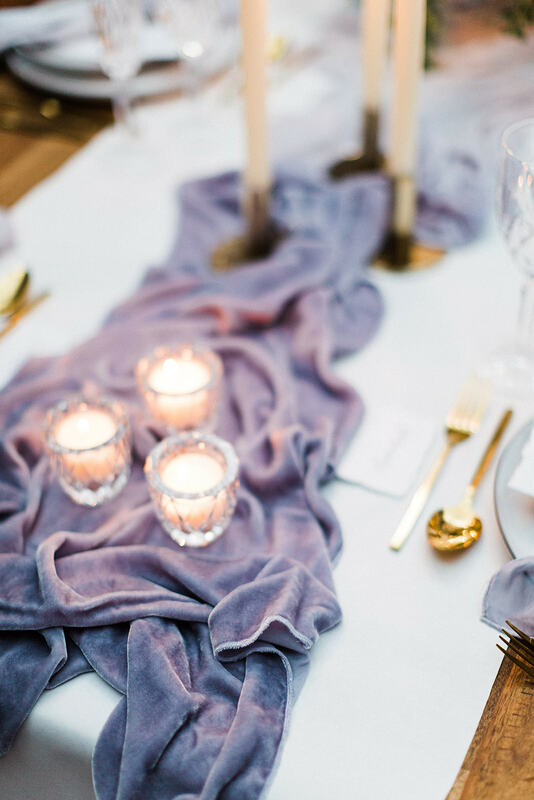 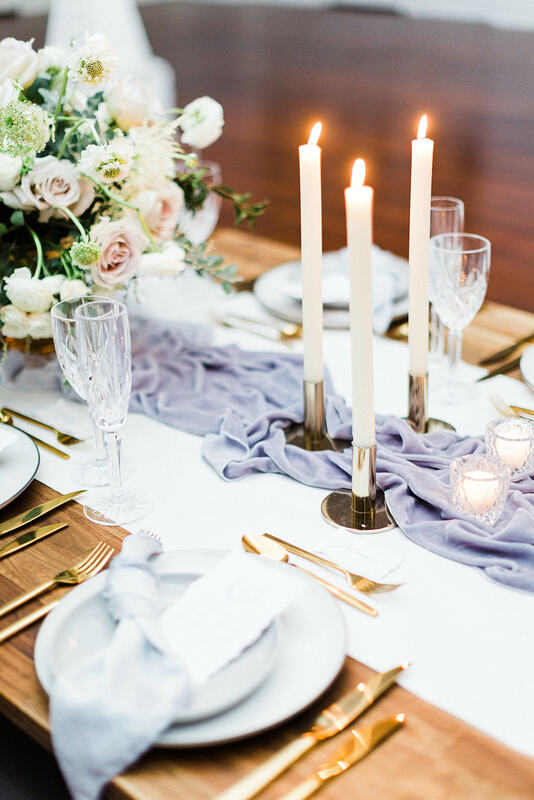 We layered feminine silk napkins and a hand dyed ombre velvet runner over a calligraphy paper scroll that cascaded from the table. 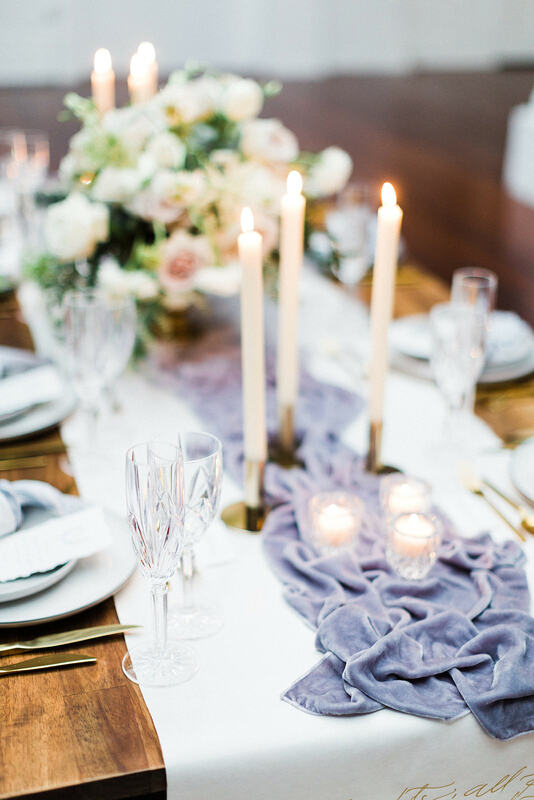 Waterford crystal glassware and votive added an element of luxe without complicating the table’s simplicity. 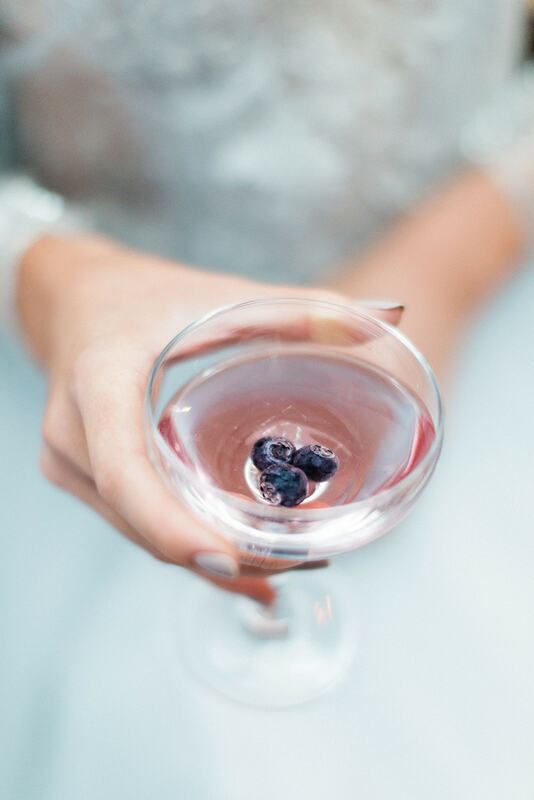 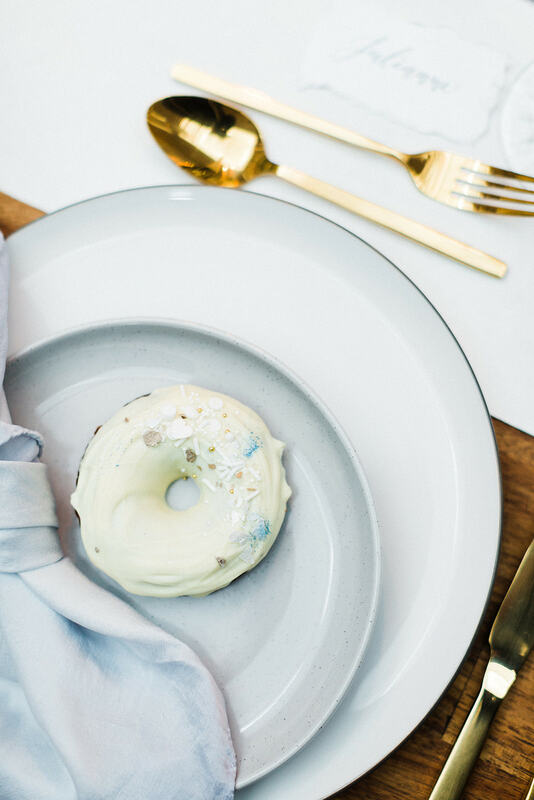 Signature cocktails, hand painted cookies and mini donuts added a personal touch and nod to the bride. 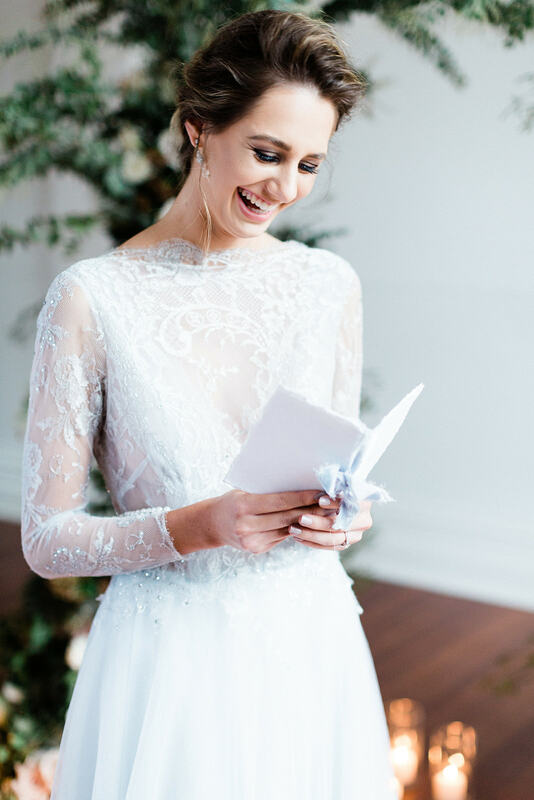 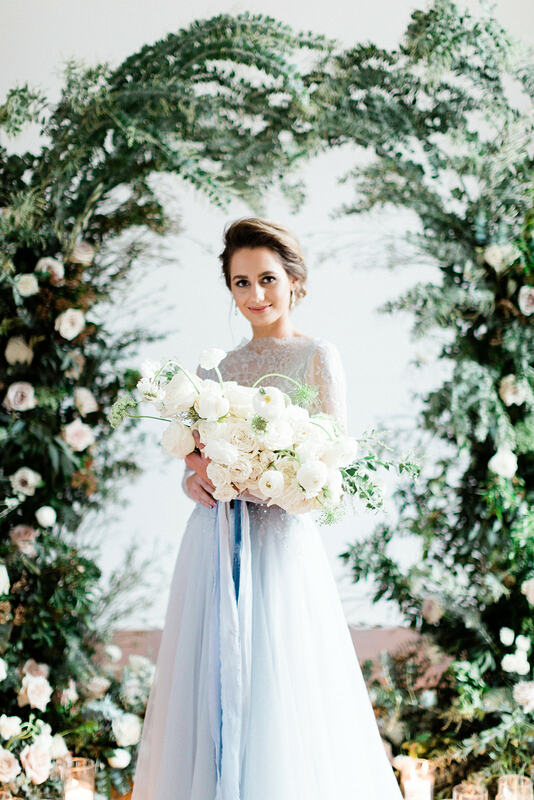 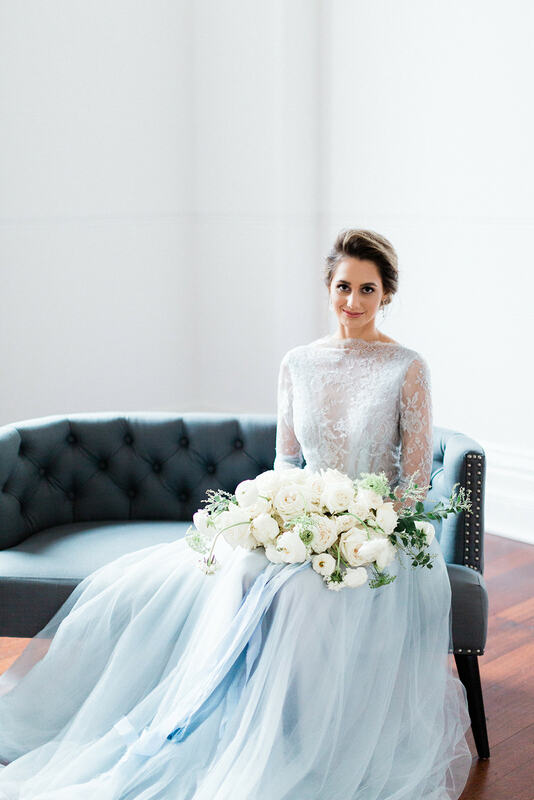 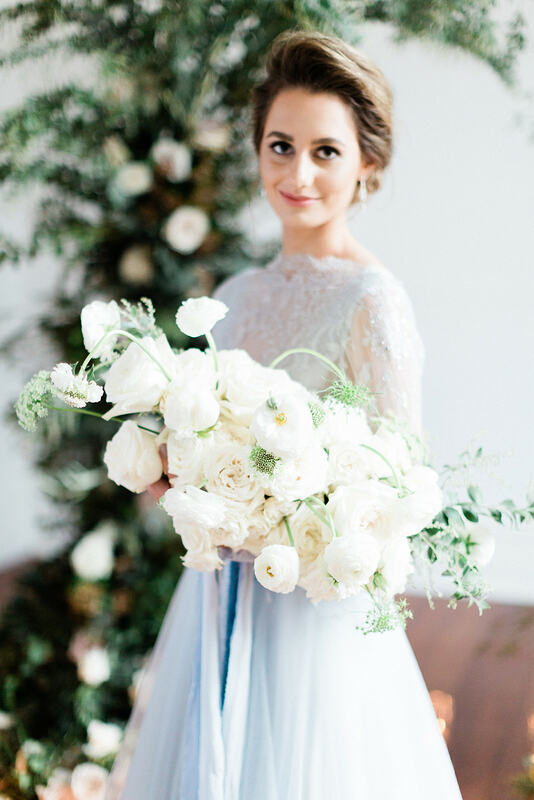 Our bride wore a beautiful light blue, long sleeve French lace and tulle gown, with soft romantic up-do, smokey eye and natural make up. 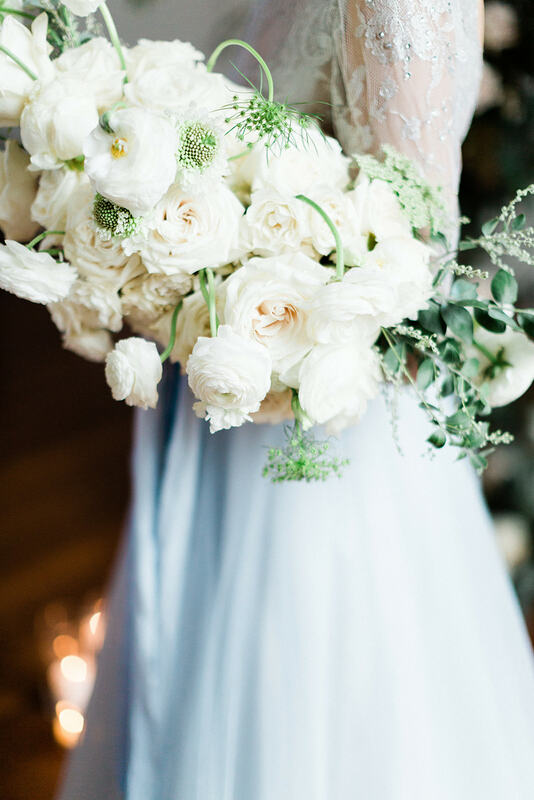 We loved the movement of the dress and bouquet as our bride twirled and swayed. 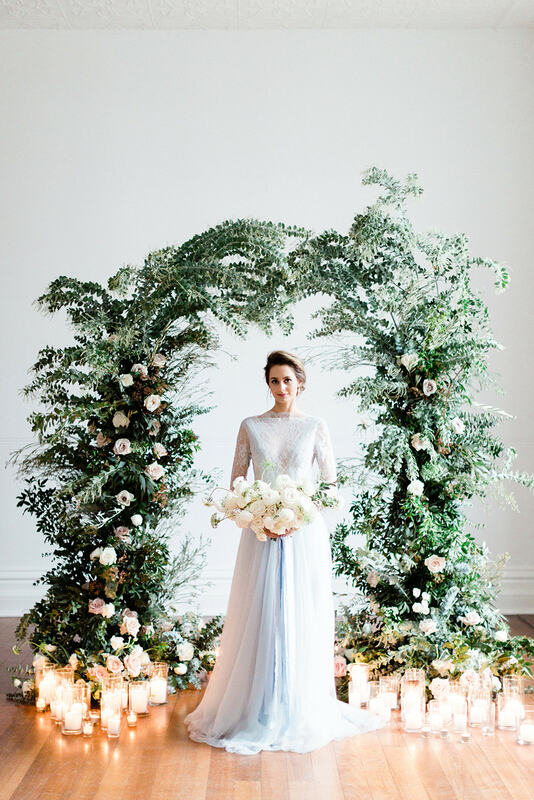 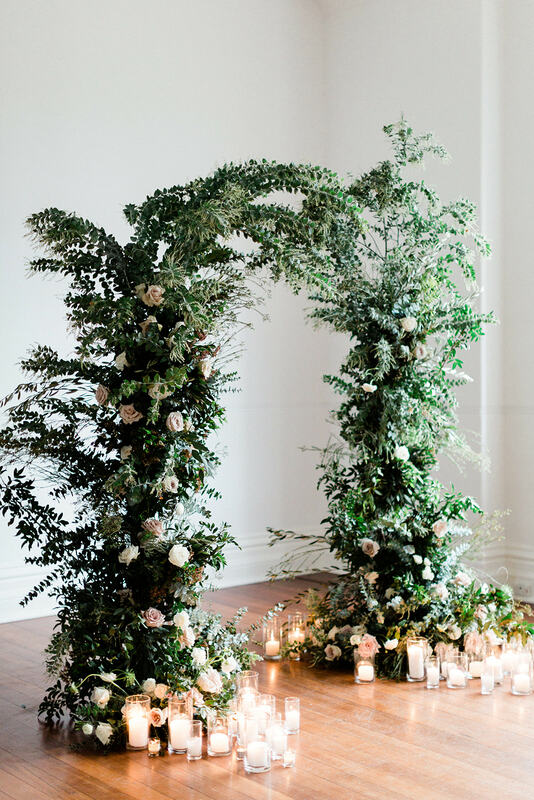 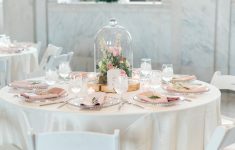 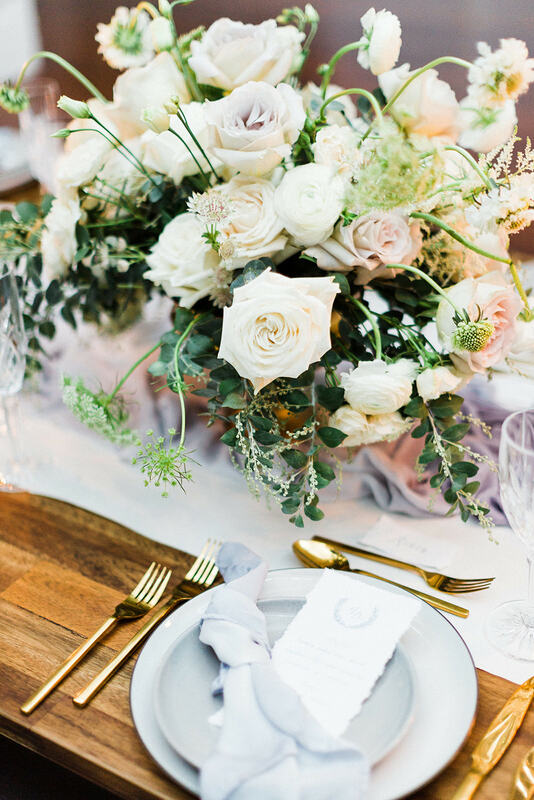 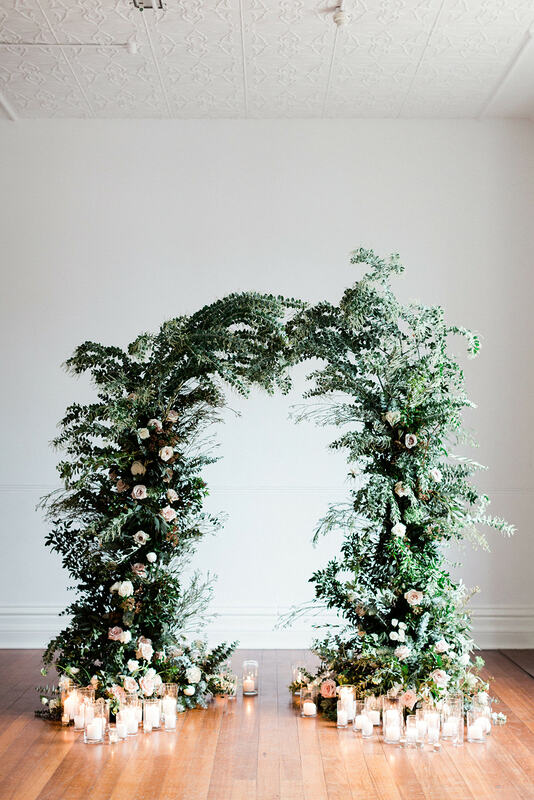 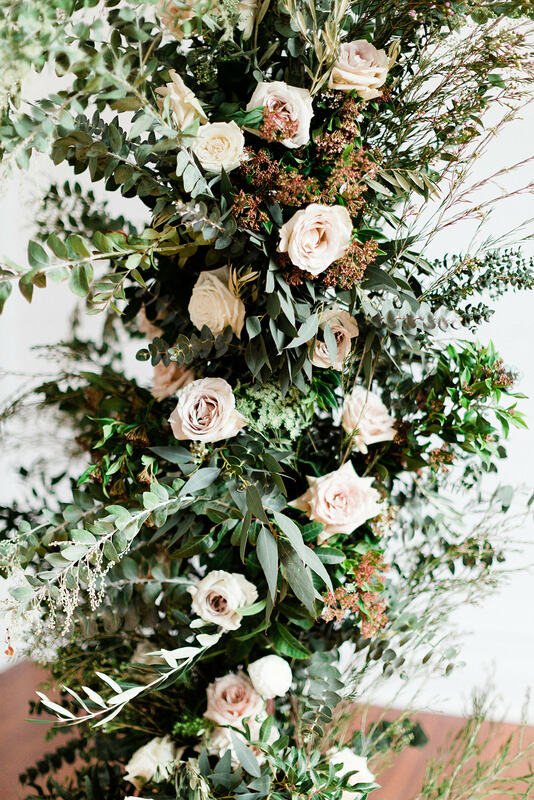 Florals for the shoot were unkempt, whimsical and garden-inspired, incorporating a foam free arbour, table arrangement and unstructured garden bouquet. 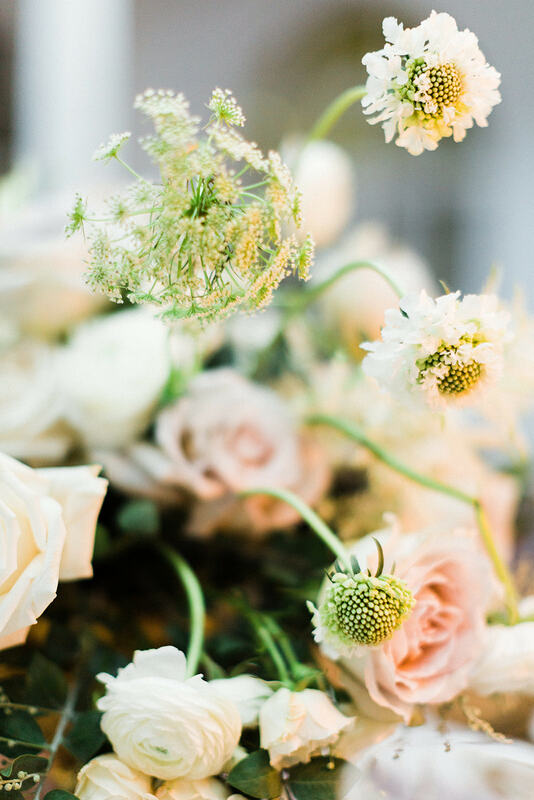 Gorgeous Earl Grey, Playa Blanca and Quicks and roses, ranunculus, scabiosa, astrantia and Queen Anne Lace were used in combination with wattle, gum, viburnum and wax foliage. 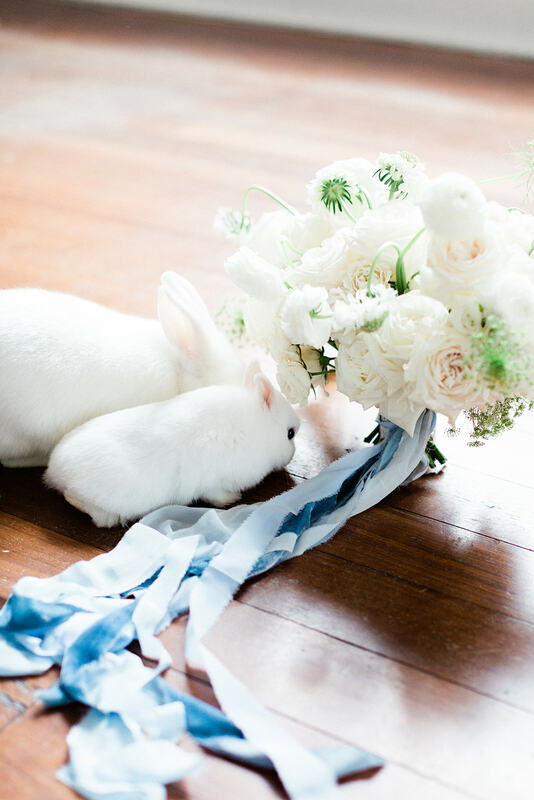 Silk and velvet ribbons on the bride’s bouquet completed the look. 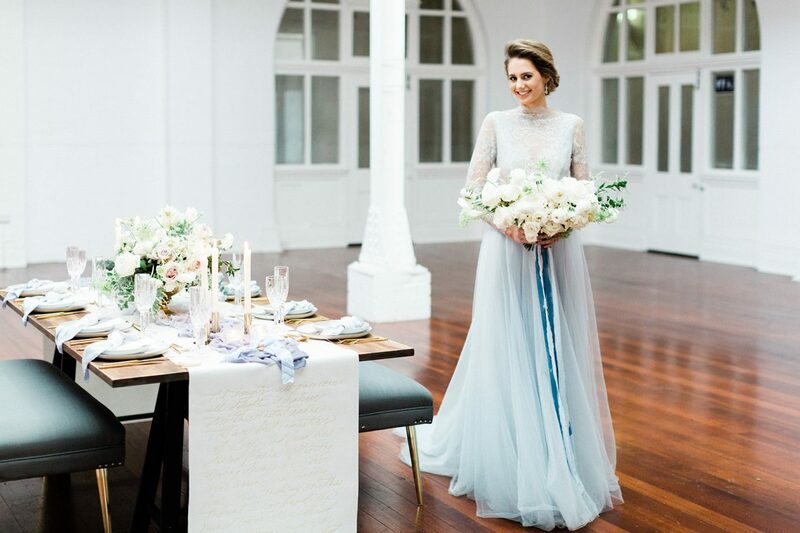 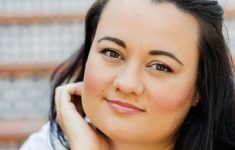 Unexpected wet weather saw us shoot indoors at historic Old Customs House in eclectic Fremantle (a coastal suburb of Perth). 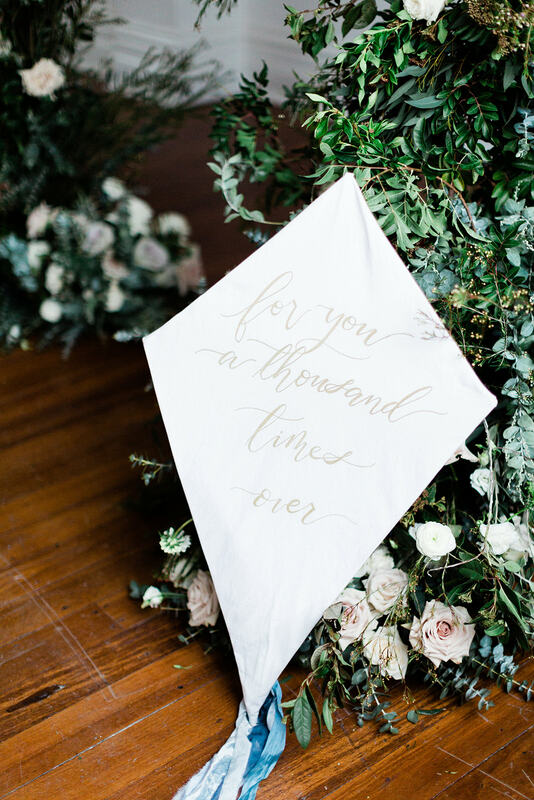 Despite the rain, we captured a beautiful calligraphy kite resting softly by the arbour. 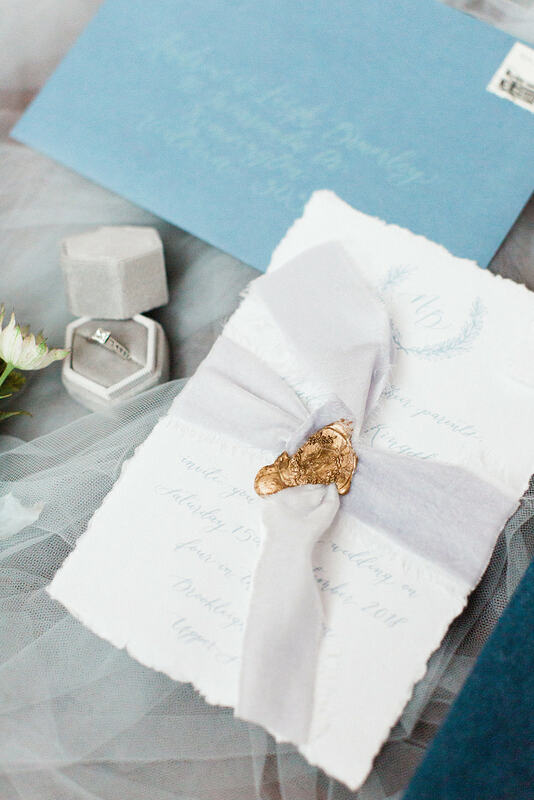 A fun yellow retro-themed styled shoot - and what a styled shoot is all about!